Well, we got snowed out of our range time this morning for a rifle evaluation we are in the middle of…but we have several interesting new product announcements we can talk about instead. 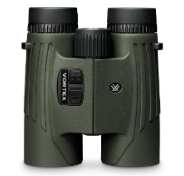 Vortex LRF Binos – We announced Leupold’s big LRF Bino reveal a few days ago, but not to be outdone, Vortex announced their own! Continuing with their somewhat silly naming convention, their LRF Binos are called the Fury HD 5000. These are a 10×42 binocular with fully multicoated HD lenses with their own rubber armor for durability. 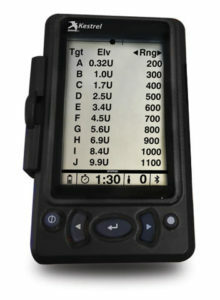 The Laser Range Finder (LRF) portion is reportedly good to 5000 yards on reflective targets, which outdistances the Leupold unit by 2000, but the real test will be on non reflective soft targets in the field. The Fury HD LRF binos do not have some of the other features like the temp and humidity stuff that the Leupold does, but it too features a scan mode and various different line of sight preferences. The MSRP is listed at $1599 which is not too bad. Meopta Optika6 Scopes – We have had Meopta on our radar for a while now to do a full review of, perhaps their new Optika6 line will spur us further into action. 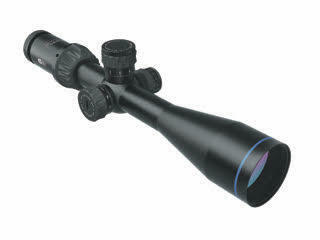 This new line of scopes has 30mm tubes, large external knobs, 6x zoom magnification, and even a multi-position throw lever. There are multiple reticle options and zoom options including 1-6x24mm, 3-18x50mm, 3-18x56mm, 4.5-27x50mm and a 5-30x56mm with 34mm tube. We wont even get into the hunting line as well. Pricing ranges from $499-$899 which seems very reasonable for these European made scopes. Kestrel Ballistics New Products – Kestrel is pushing two new products at SHOT this year, their model 2700 weather meter that offers complete ballistics solutions at a very affordable $179. It has a wind meter and all the relevant weather info combined with ballistics calculator to give a higher probability of first round hits. Their second product is what they call the Head Up Display (HUD) that retails for $399 and is designed to provide a digital DOPE card that attaches to the rifle…allowing the shooter to keep their head up. The device “targets” the competitive shooter market and I don’t personally think its a great fit for tactical use, at least not while attached to the rifle. But we will see if there might be a place for it. McMillan A10 – McMillan will be revealing their A10 stock at SHOT. This new stock is geared toward the PRS crowd, especially those with smaller hands and build. It sounds similar to the A5, but scaled down a bit. We’ll see when more details come out.